What types of CT scans are offered at Envision? 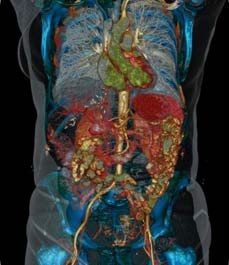 A Computed Tomography (CT) scan combines special X?ray equipment with powerful computers to produce multiple cross-sectional images of the inside of your body. CT images are very high resolution, generating up to 2000 images per scan. Our doctors carefully review those images and often reconstruct 3D images to aid in the report. They allow us to provide a clear and accurate diagnosis to your doctor. CT scans have many uses including detailed investigation of your lungs, body organs, and glands, and can also be used to guide injections. Envision is the only private practice with the new state of the art Siemens CT Somatom Force which completes a study in less than a second, at even lower dose, providing better image quality . Our expertise lies in our high-quality interpretation by specialist radiologists. 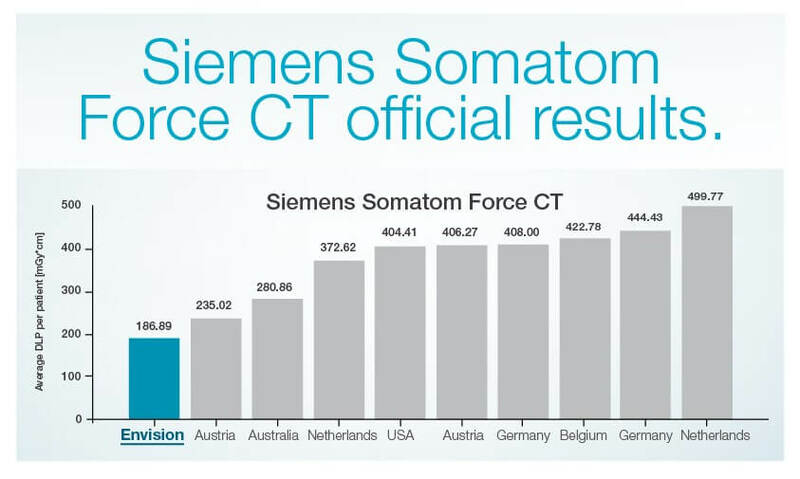 Envision topped the world chart in the Siemens Somatom Force CT results, recording the lowest dose yet producing the highest image quality without compromise. 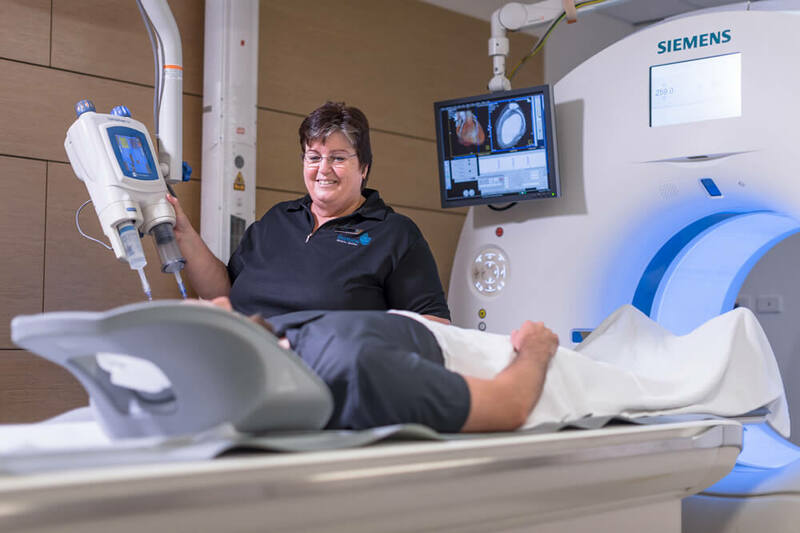 At Envision Medical Imaging, we believe that patient care should come first, whether you are undergoing a digital X-ray, a CT scan, an ultrasound scan, an MRI scan or any advanced interventional procedure. This philosophy includes minimising patient radiation exposure from medical imaging. At Envision, we are proud to offer our patients cutting-edge CT technology with uncompromised image quality and up to 60% radiation dose reduction. We are the only private practice with the new state of the art Siemens Somotom Force CT which completes a study in less than a second, at even lower dose, providing better image quality in a fraction of the time. 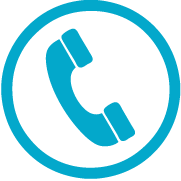 We continue to do is provide high quality interpretation by specialists who are experts in their field. 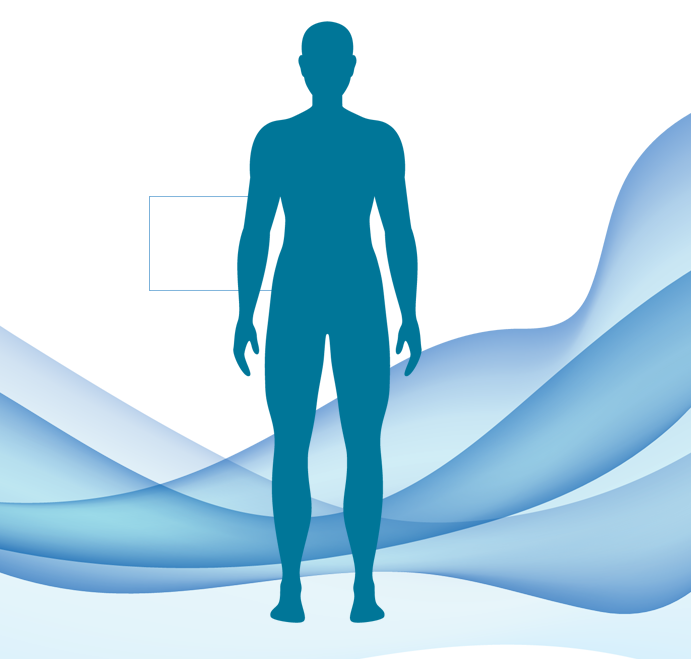 Click on the body to discover what types of CT scans are offered at Envision. You can find more information about each by following the link.